Israeli non-profit organization SpaceIL has announced Wednesday it has pushed back the launch date for its unmanned spacecraft from December 2018 to early 2019. The delay is the result of the contracted space transportation company, Elon Musk's SpaceX, postponing the launch by a few weeks. The spacecraft's original moon landing date was February 13. 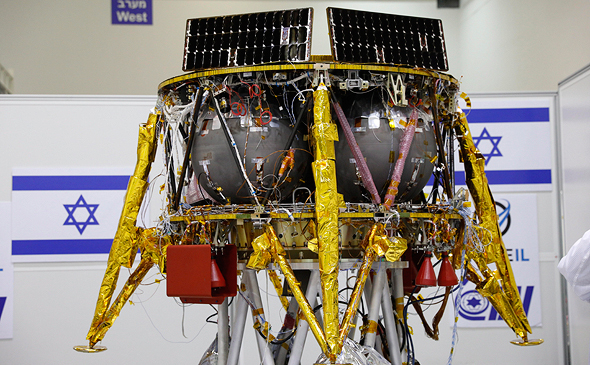 SpaceIL was established in 2011 to compete in Google’s 10-year space race competition Lunar X Prize, later becoming one of the five finalists. The competition ended with no winners in January, after no team was able to achieve the required goals within the time frame set. SpaceIL announced it would continue with its mission to land the first Israeli-made unmanned spacecraft on the moon. In its statement, SpaceIL said the spacecraft is currently undergoing advanced testing to verify its durability under space conditions. The tests, which have so far all been successful according to the company, are being conducted in the facilities of Israel's largest aerospace company Israel Aerospace Industries Ltd.
Also on Wednesday, the Israel Space Agency announced a grant of up to NIS 7.25 million (around $2 million) given to SpaceIL to support various research and educational projects. The agency previously awarded SpaceIL a NIS 2 million grant ($550,000).